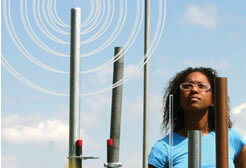 Sound installations, workshops, and site-specific performances begin Sept 15th all around town! Baltimore's HIGH ZERO Festival is one of the largest and most radical festivals of improvised music in the country, bringing together an amazing group of players each year for all-new collarboations, united united in their wil-to-experiment and desire to cross boundaries into the unknown. 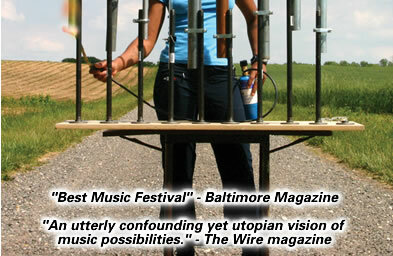 Ranging across the territories of jazz, sound art, electronic music, noise, contemporary composition and mad scientism (at least), the festival is flavored by the visionary imagination and noncomformost sensibility of Baltimore's vital and unusual experimental scene, incorporating many levels of possibilities simultaneous: freely improvised concerts, site specific performances, sound installations, and workshops throughout the city. High Zero is organized by The High Zero Foundation, a 501(c)3 Nonprofit organization. The festival is an outgrowth of The Red Room, an unfunded but vital space which has presented over 450 concerts of improvised and experimental music (as well as experimental film, dance, and performance) since it began in 1996. The Red Room is located at and sponsored by Normals Books and Records. Please Note: The festival is invitation only, so please understand we DO NOT take submissions for future HIGH ZERO festivals. However, we are always interested in submissions to The Red Room, which is the primary source of the pool of players who are then invited to the festival. Pro-bono website design and hosting: The Berndt Group, Ltd.
Video Tape Documentation: Too numerous to mention... thanks! Audio documentation (including previous years): Mike Muniak, Josh Atkins, Sam Wiley, John Berndt, Andy Hayleck, Doug Wolf, Jon Rose, Charlie Jameson.